With the sad passing last week of Terry Pratchett, I felt an overpowering urge to re-read one of his books, both for comfort and as an act of remembrance. I chose a book that is not among his most celebrated works, but is one of my personal favourites. And in it, I found a reminder of what made Pratchett so great. 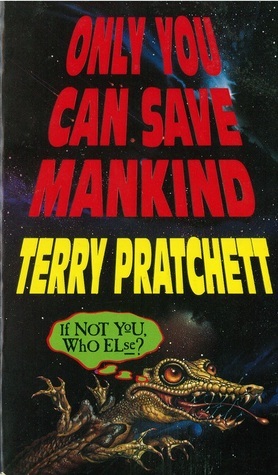 Only You Can Save Mankind is the first of Pratchett’s novels about Johnny Maxwell, a relatively ordinary twelve-year-old living in a rather ordinary English town. Johnny’s life is a mundane one of hanging out with his friends and playing computer games, given a deep vein of sadness by the ongoing collapse of his parents’ marriage. Things change one day when the ScreeWee, the alien enemies in his computer game, ask to surrender to him. They want to go home in peace, and only Johnny will listen to them. With other players still frantically trying to kill the ScreeWee, it’s up to Johnny to save the aliens. Or, as the ship’s translator would have it, to save mankind. Despite its silly central concept, the pervading tone of Only You Can Save Mankind is one of sadness. Johnny’s home life is falling apart, leaving him neglected. The ScreeWee, forced into endless warfare, just want to return home in peace. Johnny and his small group of friends are socially ostracised, brought together in part by the loneliness each feels within their own family setting. Bigmac in particular is shown to be a product of Britain’s neglected urban estates and a family that doesn’t know how to care. All of this is depicted with deftness and subtlety. Though it’s clear from early in the book that Johnny’s parents’ marriage is falling apart, and that this is taking a huge emotional toll on Johnny, we aren’t told this directly. In as far as he understands his circumstances he is also trying to not address them directly, to avoid that disruption and sorrow. But the things we are shown about his life make all this clear without Johnny having to understand it. It is simply and beautiful written. This sadness, like so much else in the book, is a demonstration of Pratchett’s humanism and his incredible ability to explore the human experience. In Only You Can Save Mankind, that humanist eye is turned upon the experience of war and the ‘them and us’ mentality that allows it to take place. Johnny’s own experience with the ScreeWee war is paralleled by the First Gulf War, portrayed in the news in the background of the story. 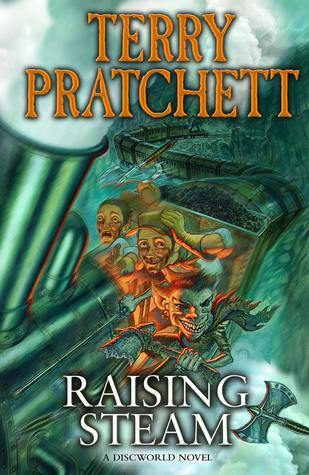 It leads Johnny to raise such innocent yet insightful questions as ‘how can we be the good guys if we’re dropping smart bombs down people’s chimneys?’ Like much of Pratchett’s work, the book doesn’t say that there are easy answers, and by the end of the book Johnny’s non-violent ideals are tested to the limit. But it’s a book that challenges the value and righteousness of military action, that suggests that violence might not really be the solution to any problem. One of the reasons I chose to re-read this book is that it’s one of my very few books signed by an author. The copy sat in my lap as I type this is a copy once handled by the great Pratchett himself, given to me by my aunt and uncle for Christmas 1992, the year the book was released. In the front, beneath the title Only You Can Save Mankind, is written in the author’s own hand: ‘To Andrew, If not you, who else? T Pratchett’. That signed page is not only my strongest physical connection to one of my favourite authors. It is also an intellectual and emotional connection, a reminder of why Pratchett has long been such an inspiring figure to me. Even in a book filled with sadness, the fundamental message is an optimistic one. We can make our own fates. Humanity can save itself, and it is worth saving. We have responsibility for our own lives, and the opportunity to use them well. 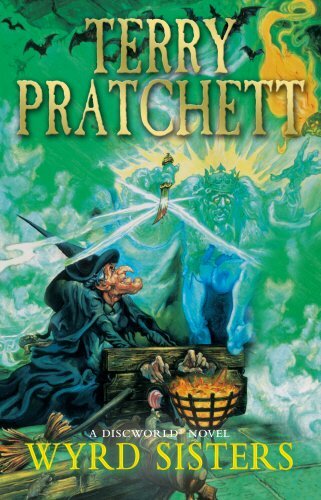 All of this, themes Pratchett raised again and again in his fiction, is expressed in that pairing of the book’s title and a quote from within it. Only you can save mankind. If not you, who else? This book also hit me in a very personal way. Like Johnny, I was twelve years old at the time of the First Gulf War, and saw it play out on the news. I faced the same challenges as him in making sense of what was going on, feeling that these distant, terrible events and the attitude many people took to them weren’t right. People were dying in an inglorious war over oil and ego, while news media turned it into a computer game-style pageant. In retrospect, I had more in common with Johnny than I realised. It would be ten more years before my parents separated, but by the time I read this book their marriage had fallen into silence and the slow death of love. It’s no wonder that Johnny’s ‘trying times’ hit me so hard, even if I couldn’t recognise their relevance. Over time, I lost the idealism that the book displayed, the belief that I could and should take control of my own destiny. Though I’ve found that again, it’s been a rough ride, and re-reading this book was a reminder of that. Even without that personal relationship, this would be a book worth reading. It’s simply and beautifully told, with a message of hope in humanity despite its cynicism about our baser instincts. If you haven’t already, I recommend reading it. So thank you, Sir Terry, for this and many other inspiring books. Your body may have stopped, but the wonder and inspiration of your stories live on. Given how many authors have been through university, and how many geeky interests are fostered by social networks there, it’s hardly surprising that universities turn up in science fiction and fantasy. 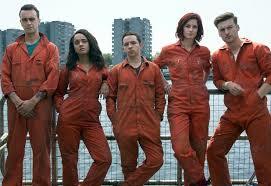 They’re a great source of characters, who then provide the drive for plot, but could we be doing more with them? Let’s start with university staff, in particular the academics. I could write a whole other post on the staff who are missing from fiction but keep a university running – the cleaners, administrators, technicians, etc. But let’s focus on what we’ve got, and that’s academics. Fictional academics seem to fall into two types, which are sometimes combined. First there are the wild exaggerations, as seen in Terry Pratchett’s Discworld novels. Who doesn’t love the PE-teacher-esque hunting and shooting stereotype of Unseen University’s Archchancellor Mustrum Ridcully? Or the quietly erratic Bursar? Or the over-enthusiastic Ponder Stibbons? These caricatures of scholarship and of attitudes to learning provide humour and conflict. For the full article please hop over to JH Mae’s blog. If you come back on Tuesday then you can read a post from JH, on the subject of fiction and the weird. And if you’re after some academically inclined fantasy then my collection By Sword, Stave or Stylus features an academic hunting knowledge in a most unusual library and is available through Amazon and Smashwords, still just 99c until the end of this weekend. Reading Raising Steam, Terry Pratchett’s latest Discworld novel, has been a surprisingly emotional experience. Setting aside the quality of the book, which I’ll come to in a moment, it made me realise how much of a hero Pratchett is to me, and how hard it is to have mixed feelings about our real life heroes. Progress might seem impersonal at times, but the reactions of the Discworld characters are very personal. Dark clerk Drumknot becomes a train enthusiast. Lord Vetinari sees a problem to solve and a tool to achieve it. The conservative dwarf grags see their traditions being undermined by outsiders. Simnel just sees the thing he is building. In a similar way, our reactions to Pratchett’s ever-evolving writing style are very personal. I suspect that they’re primarily shaped by which of his books we started with. 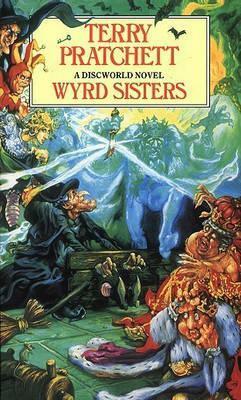 I started reading Discworld when there were less than a dozen books. My attention was grabbed by Pyramids, Guards! Guards! and Small Gods. As this world grew deeper and richer, and Pratchett’s philosophising more central, I was absolutely sucked in. But somewhere after the twentieth book he started drifting away from the things that I’d loved. 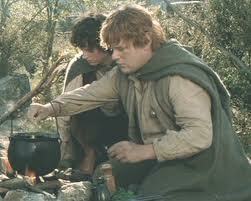 There were less laugh-out-loud moments, more direct focus on adventure and social commentary. Those were good things but the balance wasn’t what I wanted any more. The stories that once made me laugh out loud now made me think, and as a British lefty who had now grown past his teens, the thoughts weren’t terribly new. I know people who’ve come to his work later and consider his recent works the height of Pratchett brilliance. But me, I seem to be turning into something of a grag, and for a while I’ve been dwelling on the flaws in the Discworld. Now we come to Raising Steam, and it’s not just age that is shaping my view. I have experience as a writer that I didn’t before, a knowledge of plot and structure that colours the way I read, that allows me to dissect the things I find problematic. Because readable as it is – Pratchett’s prose is still light and easy to absorb without becoming completely weightless – there are a lot of problems with this book. I don’t want to dwell too long on any of this, because it breaks my heart to say it, but the plot is a damp squib. The characters are never really challenged, overcoming their problems too easily and without any risk of consequence. The initial promise, of a story about the development of the railroad, leads to a payoff that’s actually about the politics of the dwarfs. While the two have thematic connections, this still means that the book’s end doesn’t match its initial promise, which is deeply unsatisfying. Progress happens because its time has come, not through human effort and struggle, and this sort of pre-destined progress really gets my back up, robbing characters of their agency. There’s also a problem with the dialogue, and it’s not just Simnel’s Yorkshire accent. Many characters have many great lines of dialogue. The problem is that they’ll deliver six of these great lines at once, turning snappy one-liners into speeches, becoming repetitive, slowing the pace and sucking the sense of action from a scene. It’s a real lesson in less is more – on their own these lines would have been classic quotable Pratchett, bundled together they’re a weight dragging the story down. As I said, I’ve been finding this post hard to write. 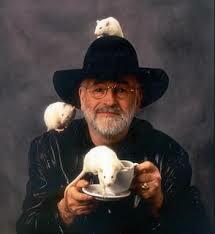 Pratchett is a huge hero of mine. An inspiring writer of dozens of books who has helped to popularise fantasy. A campaigner for the safety of orangutans, one of the most distinctive of the apes I so love. A man who is publicly battling to live in dignity as his mind gives way, risking public exposure to raise awareness of mental health issues. The man is an absolute legend. If the fantasy community can have national treasures then he is one. And just as change has, sometimes for better and sometimes for worse, affected both Pratchett and his Discworld, so I’ve changed as a reader. I can now do what I couldn’t a decade ago. I can live with the mixed feelings I have, not needing to hold the writer and his works up on a pedestal or to cast them aside. Please, go out and read something from Pratchett’s Discworld. Read Wyrd Sisters or Pyramids or Guards! 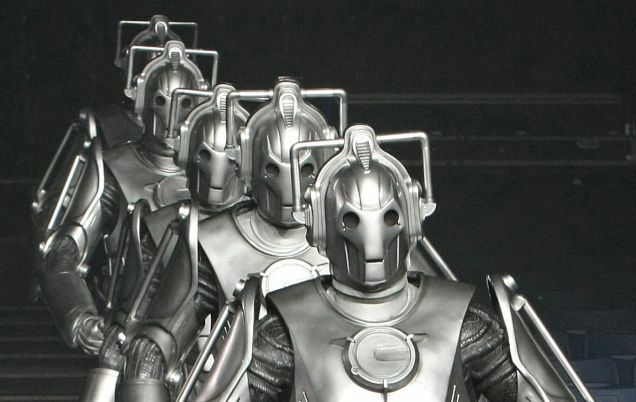 Guards!, or anything from about book six through to book 20. If you like those then read the rest. Even on an off day, Pratchett’s usually one of the better writers out there. He is worth your time and worth your admiration. Just save Raising Steam until last. And when you get there remember that you’re reading for what’s come before, not for this story. Because progress is inevitable, and it can be great, but it isn’t always kind. This book may not be great, but Terry Pratchett is. Sir Terry, I salute you! I love monkeys. Not in the bad way, like those ancient folks who bred with horses and gave us the centaur menace. In a clean, wholesome, childish fascination kind of way. Because monkeys are awesome. I should clarify that I don’t just mean monkeys, I mean all apes. But ‘monkey’ is a far better word to say. Just role it around in your mouth for a moment. Monkey. Then ape. It’s like deciding between trousers and pants. Let me tell you, Americans and other linguistic heathens, you are missing out by abandoning the trouser. It was a trip to the zoo on my way back from holiday seven years ago that cemented apes among my favourite creatures. I watched the gibbons going nuts in their cages, swinging around, screeching, rattling the bars, flashing their teeth and everything else at passers by. And I thought to myself, that looks like fun. Those guys know how to live. But what’s even better than a monkey? A science fiction or fantasy monkey of course. So here are some of my favourites. You’re civilised folks, so I’m going to assume that you’ve read some Terry Pratchett. And while those books are full of great characters, by far my favourite is the librarian. The librarian is basically the part of my brain that wants to be a gibbon. Transformed into an orangutan, he not only accepts his change of state but relishes it. It’s pure wish fulfilment, staying smart enough to read but dumb enough to communicate in ‘ook’s, swinging through the rafters by your toes, eating bananas and screeching at idiots. And lets face it, what bookish nerd hasn’t wanted the strength and social licence to beat their mockers senseless? I never watched Toy Story 3 before last night. I know, shame on me. It’s a beautiful work of children’s fantasy, full of noble ideals and talking toys. But what’s even better than a beautiful children’s fantasy? A beautiful children’s fantasy with apes. Honestly, they had me three minutes in with the line ‘death by monkeys’. But it was the monkey watching the security screens that really did it for me. A cute animal was made sinister by his bared teeth and the washed-out glow of those monitors. The juxtaposition with his happy clapping cymbals just made him all the more menacing. Because that’s the thing about apes. Like people, they’re not just smart, funny and adorable. They can also be sinister and downright dangerous, like the baboons that invade isolated South African commuter townships, or the Mediterranean apes that raid cafés for booze. These are monkeys as mad villains or outsider antiheroes. 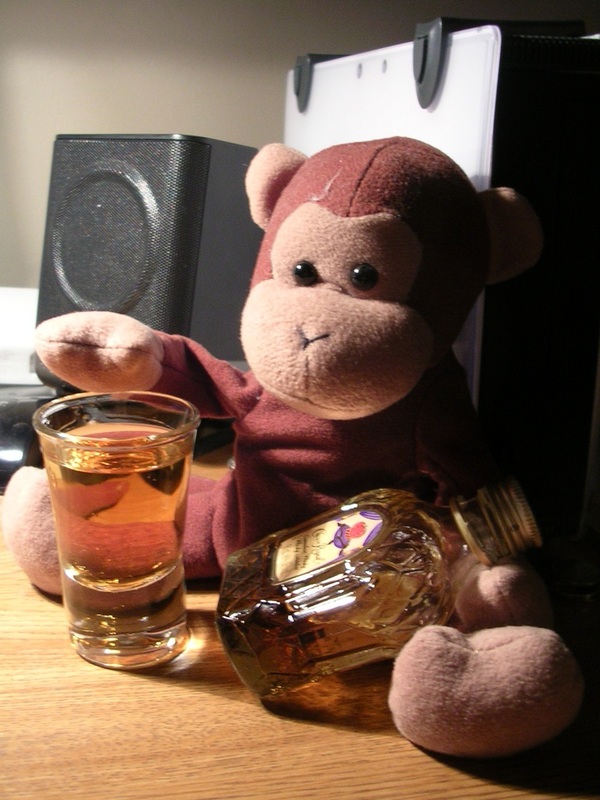 I love those monkeys too, though I wouldn’t want to stand between them and a whiskey. A gun wielding, cigar chomping, pulp action pilot ape. If that sentence doesn’t make you want to read a book then you’re lost to me. I haven’t got round to reading Ack-Ack Macaque yet, but it’s been on my list since I read this review. I love the wild spectacle of old pulp stories, before people had such fixed ideas about what was possible and what fitted in each genre. You got space rockets to planets full of purple people. You got mole men beneath the earth. You got hidden temples, alien invaders and two-fisted heroes, probably all in the same book. And a cigar-chomping ape pilot seems the perfect embodiment of that. How much do I love apes in fantasy settings? I have spent a whole weekend being one. Inspired by my visit to the zoo, I decided to play one in a live roleplay game. What I actually played was a demonic imp called Gibbon, who ate monkey nuts, threw the shells at passers by and only spoke in ooks. I walked the monkey walk, screeched at people I didn’t like, generally aped it up. It was some of the best fun I’ve ever had, and though I only did it twice in fifteen years at that game, it’s still one of the most memorable things I’ve ever done. Years later, people I didn’t know at the time would say to me ‘wait, you were that guy?’. I love monkeys, but how about you? What apes have I missed? Or is there another beast you prefer in your fiction?